Have you ever seen such cuteness? 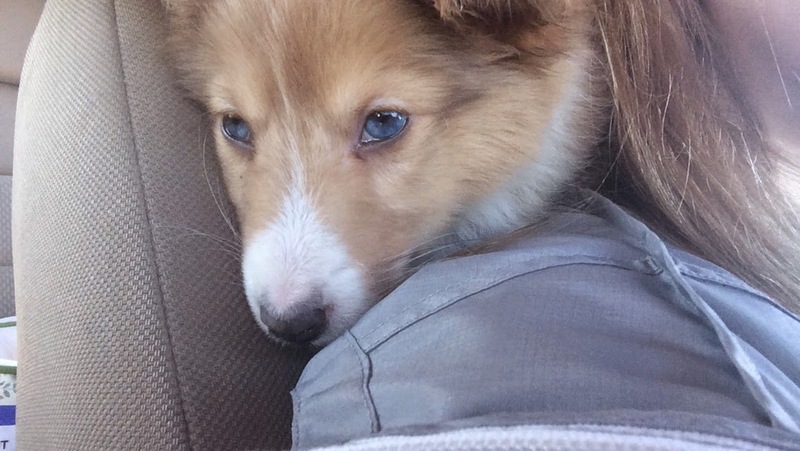 We adopted Smokey today, he's a baby sheltie and he has the bluest eyes. He literally fits in the palm of my hands. 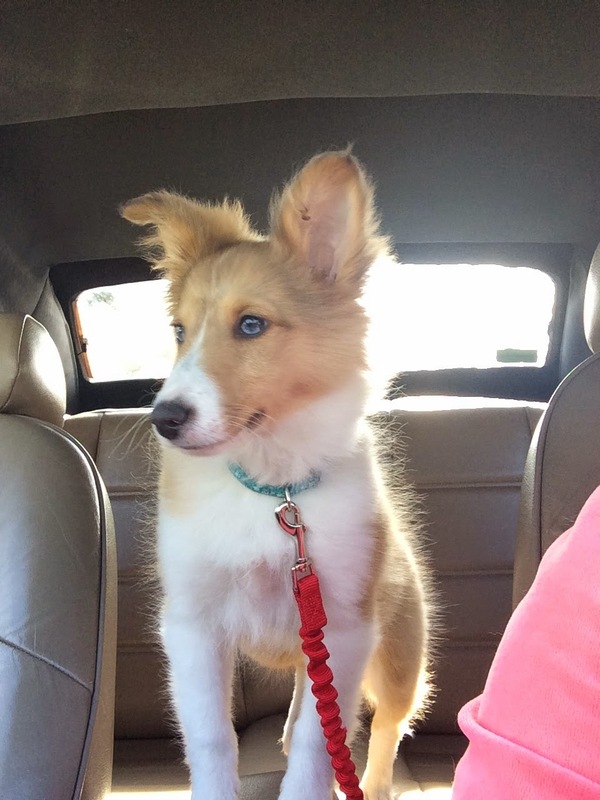 We haven't had a dog since I was in high school and I never thought my parents would get another one, but my mom found this pup online and we took him home the next day. I am not lying when I say that he is the world's best dog. 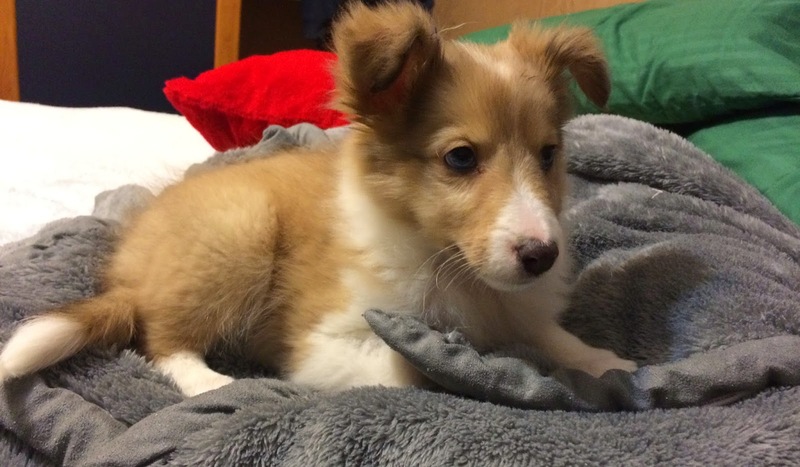 He plays with you, he enjoys walks, he's extremely smart, and he sleeps when you sleep. He even enjoys the casual lazy Sunday afternoon nap. All around he is a great dog and I am so glad we brought him into the family. What type of dog do you have? Send me pics!